Winu's location. Image: Rio Tinto. Rio Tinto has released long-awaited details of a promising copper-gold discovery at the Winu project in the Yeneena Basin of the Paterson Province in Western Australia. The company has been generating targets at the Winu project since 2016. 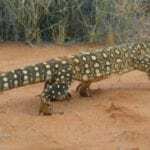 Last year, it established an exploration camp at the site, sparking speculation that it had made a significant discovery in the area. Rio Tinto has revealed it drilled 13,286 metres on exploration licence E45/4833, 350 kilometres southeast of Port Hedland, between December 2017 and the end of 2018. The exploration program over this period involved eight reverse circulation (RC) and 20 diamond holes (1473 metres RC and 11,813 metres diamond). Rio Tinto has reported significant mineralised drill hole intercepts above 0.4 per cent copper and 0.4 grams a tonne of gold from this campaign. “Assay results to date indicate relatively wide intersections of copper mineralisation associated with gold and silver,” Rio Tinto said. 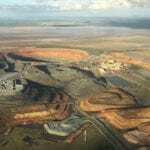 Rio Tinto believes the results are encouraging, but reinforced that exploration at the site is still at an early stage. “Drilling to date does not allow sufficient understanding of the mineralised body to assess the potential size or quality of the mineralisation nor to enable estimation of a mineral resource,” the company added. 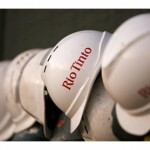 Rio Tinto restarted its exploration of the Winu project in mid-January. The company has so far completed four holes (for 1409 metres) this year, which are pending assay results.